In this blog post, we’ll look at how Percona XtraDB Cluster uses IST. Percona XtraDB Cluster uses the concept of an Incremental State Transfer (IST). When a node of the cluster leaves the cluster for a short period of time, it can rejoin the cluster by getting the delta set of missing changes from any active node in the cluster. This process of getting the delta set of changes is named as IST in Percona XtraDB Cluster. This catch-up process can be time-consuming. Until this process is complete, the rejoining node is not ready to process any active workloads. We believe that any process that is time-consuming should have a progress monitor attached to it. This is exactly what we have done. In the latest release of Percona XtraDB Cluster 5.7.17-29.20, we added an IST progress monitor that is exposed through SHOW STATUS. This helps you to monitor the percentage of write-sets which has been applied by the rejoining node. As you can see, the wsrep_ist_receive_status monitoring string indicates the percentage completed, currently received write-set and the range of write-sets applicable to the IST. Once the IST activity is complete, the variable shows an empty-string. I hope you enjoy this newly added feature. 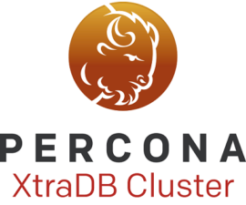 Percona Engineering would be happy to hear from you, about more such features that can help you make effective use of Percona XtraDB Cluster. We will try our best to include them in our future plans (based on feasibility). Note: Special thanks for Kenn Takara and Roel Van de Paar for helping me edit this post. I like the idea! Is it reasonable to believe that the end number (1589676) will not change throughout the process (outside of a lab)? Lets assume this is a production environment with a 3+ node cluster, as a “two-node” cluster is not really reasonable with WSREP due to the “donor” is desync’d as well. A proper healthcheck should probably not be sending database connections to the “donor” node, right? So, the rest of the nodes, besides the donor and the “down” node, are still receiving transactions. Does this increment the ending number? or do they have another incremental sync when they get done with their lengthy sync? Other cluster nodes continue to receive the traffic that is replicated on group-channel and consumed by DONOR and JOINER node. Once IST apply action is complete JOINER node will proceed with apply of this traffic.